Unique Group’s On-Site Engineering (OSE) division designed and delivered a specialist pipeline leak repair package to ensure client avoided costly production shutdown. Abu Dhabi Gas Liquefaction Co (ADGAS) requested us to perform online sealing of a 2” leak on a 48” seawater pipeline that provided cooling water to two different trains. 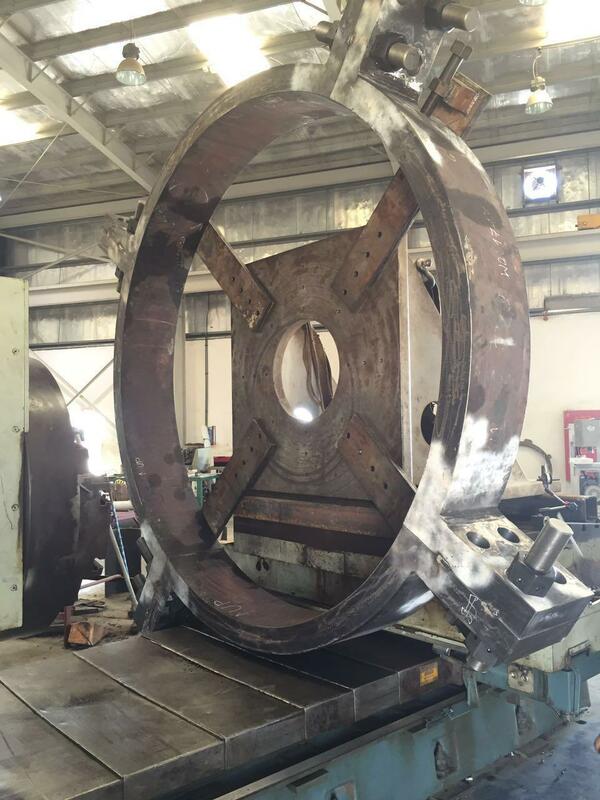 The leak was formed due to severe internal corrosion that developed on the weld of the pipe flange. Since the pipeline was leaking, traditional composite repairs were not possible and standard repair clamps could not be used due to space restrictions around the pipeline and the location of the leak point. The only alternative, other than one involving a shutdown of both trains, was to provide a customised leak repair clamp. Unique Group designed, manufactured and installed a four-piece 48” enclosure box clamp to achieve a 100% sealing solution – with no disruption to production. A strong-back system was also designed to keep the clamp in place should any further corrosion in future cause a pipe flange separation. The enclosure was designed according to ASME Sec VIII Div 1 specifications. The high ovality in pipe, longitudinal weld seam and obstructions around the pipe presented installation challenges. However, the clamp was specifically designed with three independent sets of size packing grooves to overcome the pipe ovality. We devised and implemented the only feasible online repair solution to avoid a production shutdown.